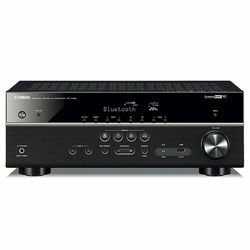 This Onkyo M-5000R vs Marantz MM7025 comparison should help people choose the amplifier that will meet their requirements. 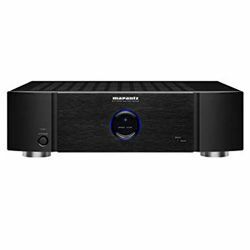 These models have almost the same amount of the total power output – compare the M-5000R that has 300 W, with the MM7025 that has 280 W. These amplifiers can work with 2 channels. The M-5000R features the Advanced Wide Range Amplifier technology and the Three-Stage Inverted Darlington Circuitry quad push-pull amplification design. It also has a balanced XLP input for monaural amplification and two toroidal transformers. The MM7025 has two power amplifiers and a current feedback power amplifier with Marantz HDAM circuit, while the LAPT Hyper-Power output transistor guarantees clear output sound. These amplifiers do not have Bluetooth or Wi-Fi interfaces. Both solutions do not support multi-room technology. 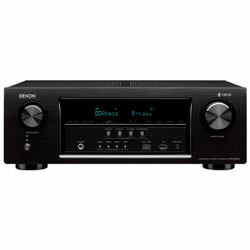 These amplifiers are built professionally and customers do not have any issues with the ports. However, these models have gold-plated terminals to minimize or exclude any kind of noises. 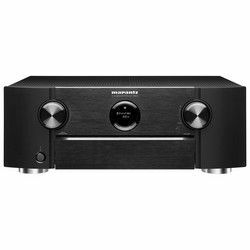 These amplifiers do not have any automatic audio calibration solutions, but the Marantz MM7025 has the custom sound tuning solution. 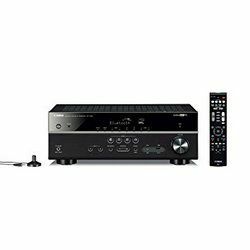 The Marantz MM7025 vs Onkyo M-5000R design review shows that the Marantz is more modern, while the M-5000R looks classic. 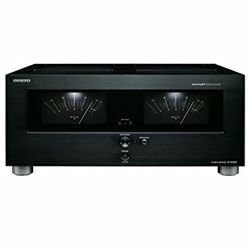 The Onkyo M-5000R has several buttons and two large meters on the front panel The Marantz MM7025 has two buttons and the porthole display with blue illumination. The back panels of these two devices have all the ports you need – you will have no troubles connecting your devices since everything is labeled. These amplifiers do not come with any remote controllers. Nevertheless, these models are built-well – nothing shakes or rattles when you move them. The internal parts layout assures perfect output sound with little or zero distortion. The dimensions are 17x17.1x7.4 in for the Onkyo M-5000R versus 15x5x17 in for the Marantz MM7025. The weight is 51.8 and 22 pounds respectively. The output sound is extremely clear and powerful. The soundstage is wide and the sound does not have any edginess. Great compatibility with various speakers and it also makes it very flexible. The building quality is excellent – the ports assure a great connection and you do not get any noise. Some customers would like it to be more powerful. It is easy to set up and connect all the devices you have. This model does not become too hot after a long period of exploitation. The output sound is clear and deep. The speaker terminals accept banana plugs but are not the standard ¾ inch GR spacing.